Mazel tov! Welcoming a child into your world, whether by birth or adoption, is one of life’s greatest joys and Temple Emanu-El is ready to help you celebrate the transition to family life in a Jewish way. A bris takes place on the eighth day after birth. A bris is a symbolic way of affirming the ancient relationship established between Abraham and his descendants, acknowledging that this child and his parents will be part of the continuity. Some families choose to have a mohel perform the procedure; others prefer a physician who has been educated in the appropriate Jewish rituals. A bris may take place in your home or at the synagogue. Please contact the rabbinic office to discuss these options further. A baby naming may be celebrated at any time — although many families choose to hold it on the eighth day after birth, similar to a bris. 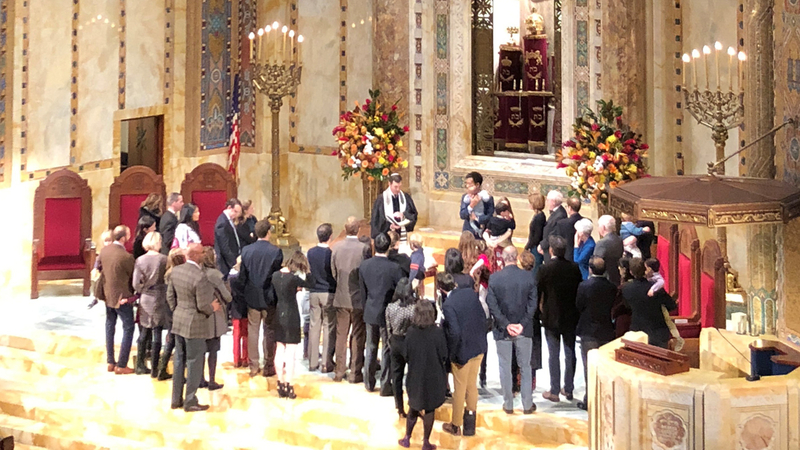 Naming ceremonies may take place in your home or at the Temple, after scheduling a mutually convenient time for the family and the rabbi. A popular time is immediately after the Sabbath morning service, held in one of our beautiful sanctuaries. A festive meal often follows a welcoming ceremony. Questions about room availability and catering should be directed to our Events Coordinator.